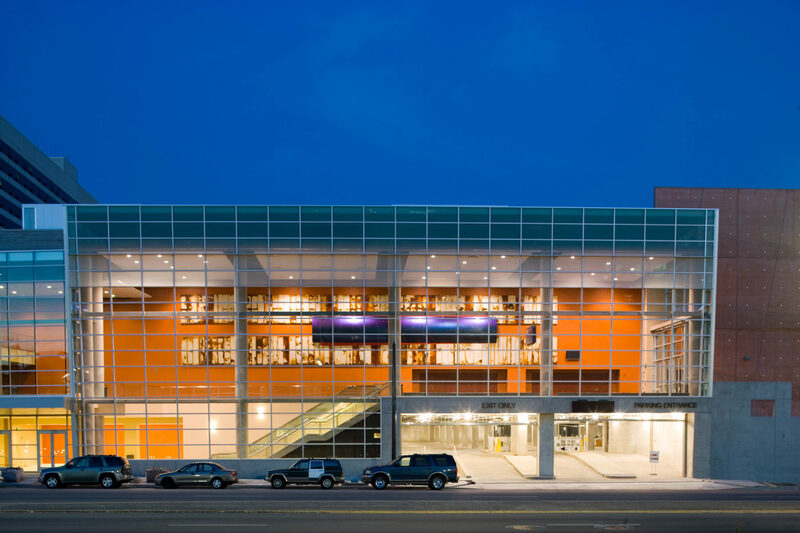 Designed to catalyze Salt Lake City’s position as a destination for national trade shows and conferences, the 2006 renovation of the Salt Palace Convention Center set a standard for the sustainability of public projects in the city and county. The centerpiece of the project was the new west entrance—an open and airy pre-function lobby space opening onto Vivint Plaza. The renovation included the addition of 250,000 square feet of exhibition, lobby, and meeting room space, as well as 404 parking stalls. 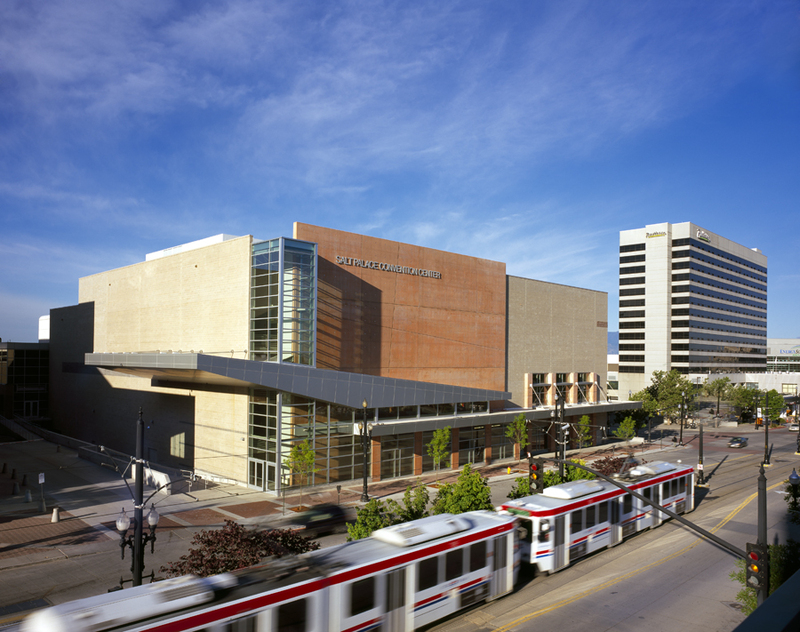 Certified Silver LEED® by the U.S. Green Building Council, the project was first-ever LEED-certified project in Salt Lake County. Among its many environmentally considered features are a stormwater retention system that captures 100% of runoff, and the largest solar-power lighting system installed to date in Utah.